examines electric incandescent lamps, before and after cap is fitted on; inserts lamps in holders in a circular table (or connects them to terminals on outside of table) and as table slowly revolves, observes lamps through a blue screen, meanwhile increasing and decreasing current through lamp; rejects lamps with imperfect filaments; puts sound lamps in tray to be taken away for next operation. examines articles on completion or in process of manufacture, to ascertain if measurements are correct, using check rules, gauges, etc., and to detect faulty materials or workmanship by minute visual examination; usually an electrical mechanic (306) q.v., either set apart for this work or occasionally employed in it; often further distinguished according to class of article examined, e.g., coil, magneto, motor examiner; see also other special classes of examiners defined below. compares stores items with specification laid down by G.P.O., and approves or rejects delivery. a skilled electrical fitter or electrician who examines electrical equipment of electric train motor before or after journey to ensure that it is in running order; overhauls dust gear, control gear, fuses, etc., and oils, adjusts and renews parts where defects are not sufficiently serious to justify withdrawal of car from service to workshop for repair. examines cables, wires, etc., during and after manufacture, to detect bad materials or workmanship, by simple scrutiny or by using a gauge, calipers, micrometer, etc. in testing department makes a visual examination of electrical apparatus received into test room; also carries out electric tests on articles with galvanometer, voltmeter, ammeter, ohmmeter and other instruments. in test room makes various tests (for carrying capacity, insulation, resistance, etc.) on cable to ensure that it reaches standard specification, using galvanometer, etc. inspects, and reports upon, goods intended for use in electrical industry or products of that industry, either on completion or in course of manufacture; sometimes also tests such goods or products by use of galvanometer, voltmeter, etc. 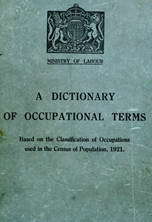 ; inspects electrical installations of all kinds, either at regular intervals or on special occasions, as required; often further distinguished according to class of goods inspected, e.g., coil installation, lamp, telegraph pole inspector; see also other special classes of inspectors defined below. patrols tramway service routes and carries out minor running repairs, when possible, to car trolley heads, controllers, and bells; renews motor brushes, fuses, etc., to enable car to return to depot; at depot, electrician (305) q.v. carries out more permanent repairs. makes periodical examinations of fuse boxes, either on consumers' premises or at distribution boxes. in charge of test room and responsible for efficiency of tests; supervises work of testers q.v. ; examines test sheets and other records received from testers; deals with correspondence of testing department. measures thickness of mica (or micanite) sheets, using micrometer, vernier or plate gauge; usually spends part of time in cutting or making sheet micanite. receives report of existence of telephone line faults from testing officer q.v. ; tests lines by voltmeter to locate fault inside or outside telephone exchange; submits report to engineer to arrange for necessary repairs; keeps record of all faults. tests electrical machinery or apparatus, or articles used in or produced by electrical industry, either in ordinary working conditions or by applying certain recognised standard tests to detect faults, e.g. vibration tests, resistance tests, capacity tests, insulation tests, etc. ; uses various instruments according to article and nature of test, e.g., verniers, plate gauges, galvanometers, speed counters, resistances; tests may be made either at works (before articles are delivered to customer), or on customers' premises; often further distinguished according to article tested, e.g., arc lamp, coil, dynamo, instrument, rheostat, telephone, wire tester, see also other special classes of testers defined below. makes routine tests of materials used in manufacture of electrical cables, working under direction of chemist. an examiner (Post Office, Engineering Department) q.v. who tests, by comparison with standards, or with fine measuring instruments, electrical apparatus used in telegraphy or telephony. tests insulation resistance of electric cables by applying a high electrical pressure or voltage; also measures insulation resistance, copper resistance, and capacity, using instruments of precision. tests insulation resistance by application of high electrical pressure or voltage and by precision measurements; also teste efficiency and performance of plant and apparatus. inspects new work installed on consumers' premises before connecting with main supply and tests it by connecting wires to instrument known as "megger," which causes a high voltage current (sufficient to show up any faulty material or workmanship) to pass through wires. (ii) see tester (electric plant and apparatus). teste efficiency of motors for tramways, either new or under repair, with help of ammeter, voltmeter, speedcounter, or other instruments; applies insulation test by passing heavy charge of electricity through motor with a megger. as for tester (electric cables and wires). as for tester (electric cable and wires). makes tests along a faulty telegraph or telephone line to locate fault, using various instruments; when fault is located, gives instructions for repair or renewal of line.